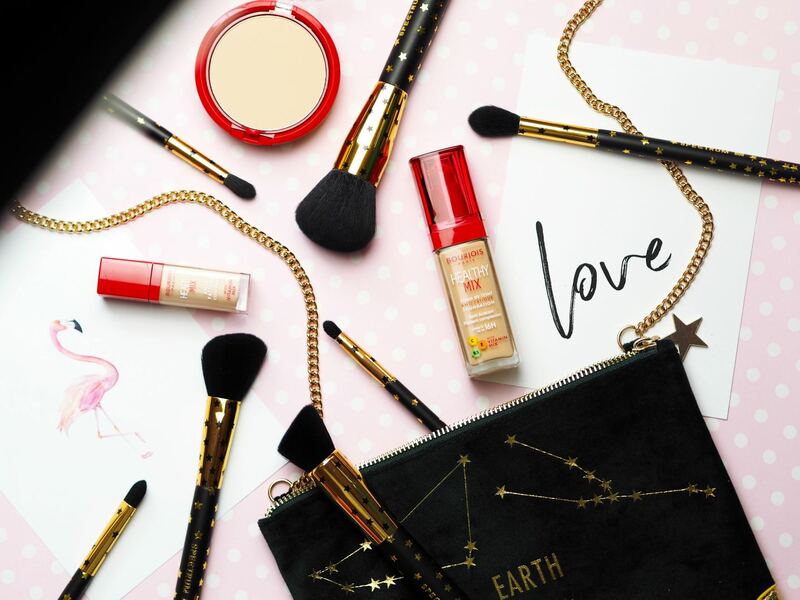 Beauty: A Great New (And Super Affordable) Foundation - Fashion For Lunch. Hello my friends! I just wanted to stop by and share a few thoughts on a new foundation I have been LOVING recently! As some of you might have noticed, I have been obsessed with the IT Cosmetics CC Cream for longer than I care to admit, I’ve tried other foundations on and off, but quite frankly, I keep going back to the IT Cosmetics CC Cream because, well, it’s my fave! But I’ve recently found a foundation which I *think* rivals it… AND it’s cheaper, in fact, it’s a steal, just £9.99 for a 30ml bottle and right now, it’s on a 3 for 2 offer at boots. 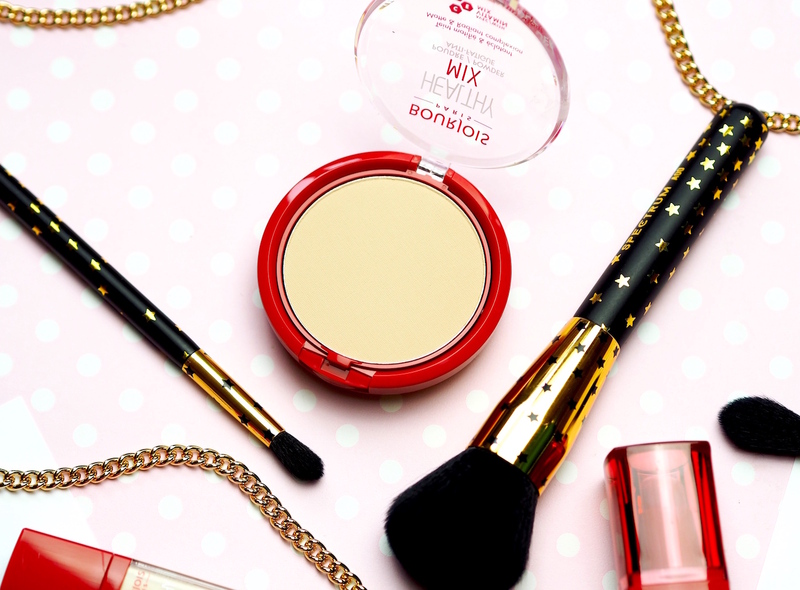 I’m talking about the Bourjois ‘Healthy Mix’ Anti-Fatigue Foundation. 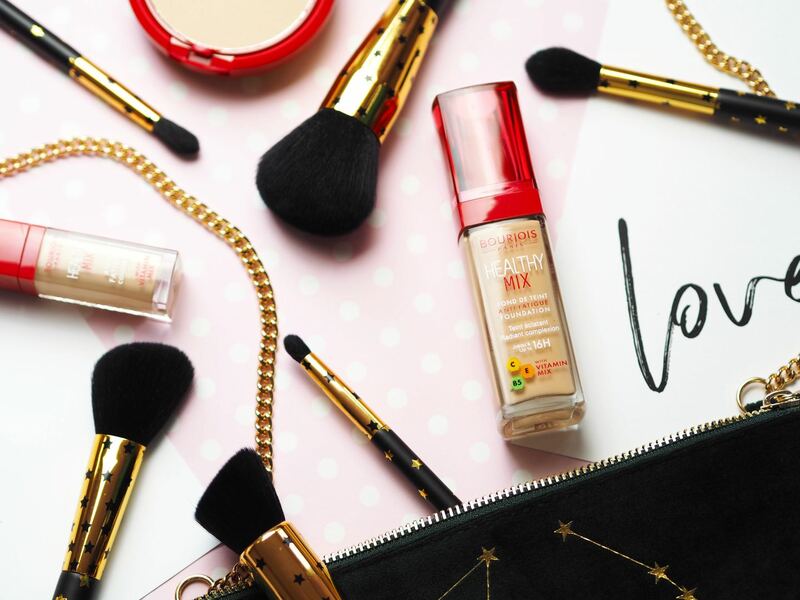 So, what is it I like about the Bourjois ‘Healthy Mix’ Anti-Fatigue Foundation? Well, to be honest, it ticks all my boxes. It’s medium coverage; Evening out my skintone and covering blemishes, whilst still looking really natural. Not only that, but it feels REALLY comfortable and light, which is super important to me as I HATE wearing thick, heavy base make-up. It also lasts really well, like REALLY well, all day long in fact, without cracking and caking (also bare in mind, I have wrinkles these days and it sits nicely over my lines without separating). And finally, it’s a really nice finish, not too matte, not too glowy, think of it as the Goldie Locks of finishes! I’m honestly super impressed with this foundation, I think Bourjois are fast becoming one of my favourite high street beauty brands, I love their lipsticks and this foundation is a real winner! Oh and if you are buying the foundation on 3 for 2 at Boots, there’s a concealer and powder in the same collection, both pretty good (shades are slightly limited right now, so I’m hoping they will add to them soon!). Also, the Rouge Velvet Lipsticks, are part of the 3 for 2 deal and SO worth trying, I recommend these lipsticks to anyone who will listen, I absolutely LOVE them! 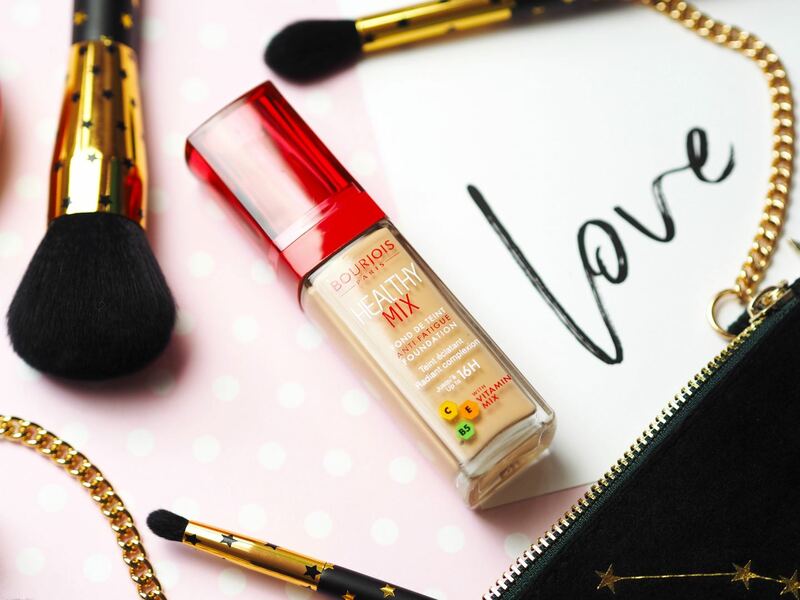 Anyway, that’s my two cents on the Bourjois ‘Healthy Mix’ Anti-Fatigue Foundation, if you are looking for a new foundation and you fancy spending a less than a tenner, this I can’t recommend this one enough! NB. My skin is dry / combination and my foundation shade is a ghostly ’51’. I used healthy mix for years when it first launched – it’s such a good base! It’s SO good!!! I’m so happy with it, I’m saving a fortune over here!